I'm slowly working on getting my stories into books and this is one I had been meaning to do for awhile. 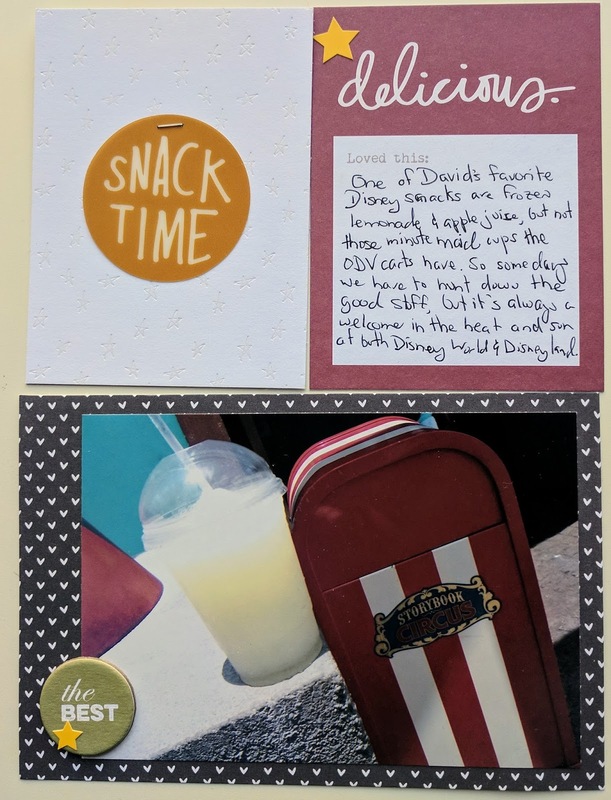 This one is a favorite snack when we visit Disney. I've just about killed this Ali Edwards Eat kit. 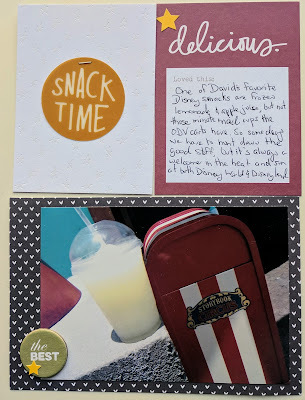 The card that has the snack time piece is an embossed star card from an older Studio Calico kit. The black hearts are from a Lawn Fawn 6x6 pad. Everything else is from the Story kit.